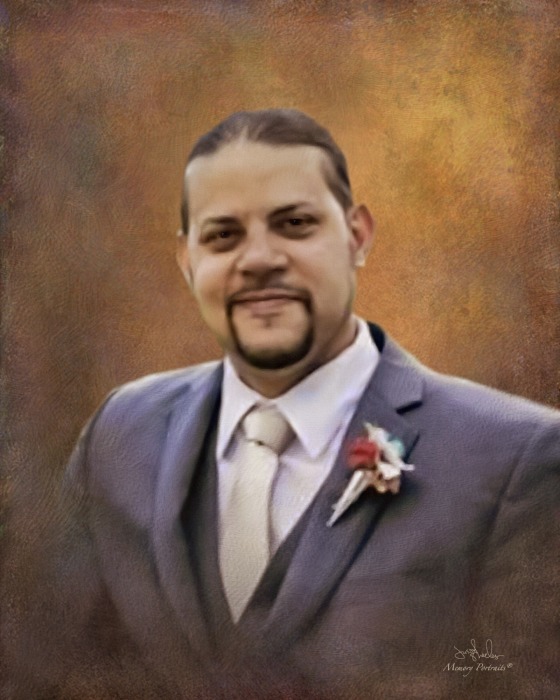 Obituary for Bradford Lawrence Tillman | Mason-Gelder Funeral Home, Inc.
Bradford Lawrence Tillman 38 of Jeannette died Thursday November 29, 2018 at home. He was born February 25, 1980 in Jeannette a son of Lawrence :Butch" Tillman of Jeannette and the late Alice "Tina" (Edwards) Ohler Jacko. He was employed by LRG Corporation in Jeannette for 15 years and was a veteran of the US Army Honor Guard. In addition to his mother he was preceded in death by a sister Anna Marie Ohler. In addition to his father he is survived by his wife Amanda Bossi, his siblings Robert Ohler, Thomas Ohler, Scott Ohler, Candice Tillman and Savannah Tillman, his father in law and mother in law John and Tami Bossi and numerous aunts, uncles, nieces, nephews and cousins. Friends will be received Thursday December 6 from 9:00 AM till time of memorial service at 11:00 AM in the Mason-Gelder Funeral Home Inc. 201 N. First St. Jeannette. Pastor Roy Aiken Jr. will officiate. In lieu of flowers the family suggests memorial contributions be made to the Westmoreland County Humane Society. To send online condolences visit www.mason-gelder.com.